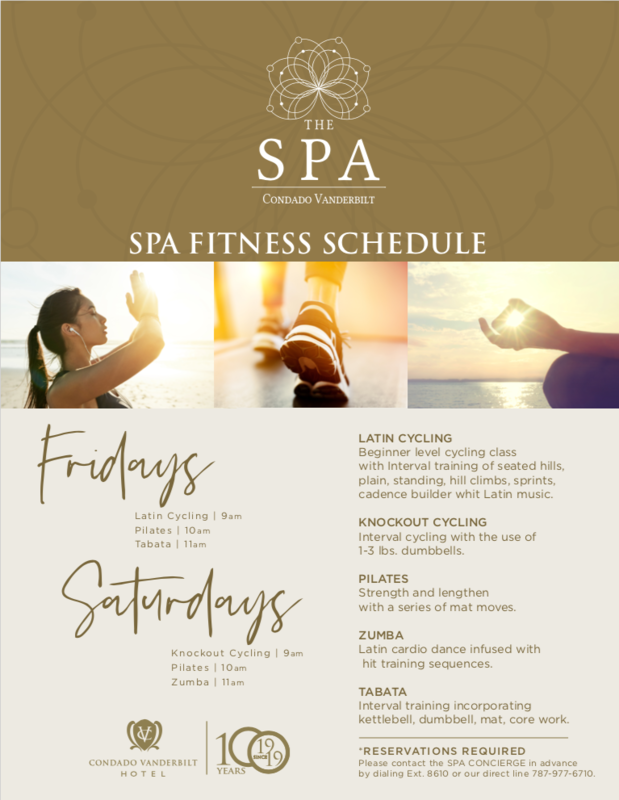 Because health, fitness and beauty are intertwined, our Oceanfront Fitness Facility offers a variety of exclusive, relaxing spa treatments, as well as invigorating wellness and fitness classes. We provide cardiovascular and strength equipment by Technogym®, which features the highest levels of biomechanics and ergonomics, and ensures a thorough, safe and effective training experience. Our Fitness Center offers Private Personal Training upon request. See our Fitness Schedule - 9AM Cycling Class, 10AM Pilates Class, Zumba, Tabata and more.